Satori Two – Monitor Construction Released! It´s time to publish the first AudioExcite loudspeaker design this year! 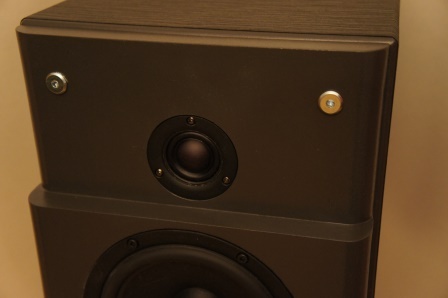 To the left in the above picture we have the new Satori Two – Monitor besides the “Sequence Three – Grand Reference” loudspeaker. 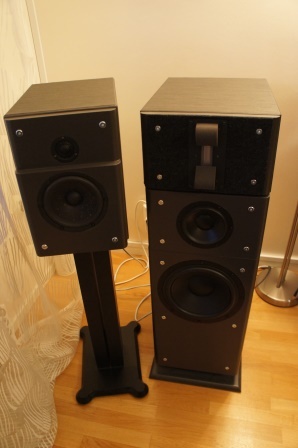 The Satori Two – Monitor is a large sized stand-mount loudspeaker and is based around the SB Acoustics Satori mid-woofer. The Satori mid-woofer is a well behaved very nice sounding driver that sets a new standard for high-end drivers in its size. The 6.5” mid-woofer size fills a gap where it’s hard to find equivalent drivers today. Either they are larger 7” mid-woofers, which are great in the bass department, but often lacks mid-range refinement and need to be crossed over below 2kHz. Or they are smaller 5-5.5” mid-woofers that are great in the mid-range, but struggles in the low bass department. The Satori driver fills that gap with honor! First, I planned to release the Satori Two – Monitor with two different tweeter options, the ScanSpeak R3004/602010 and the D3004/602010, but in the end the “D” version blended more nicely with the Satori mid-woofer and was sonically better than the “R” version. That doesn’t mean that the “R” version tweeter isn’t any good, but it simply isn’t good enough in this configuration. A comparison between the two tweeters can be found here: ScanSpeak Illuminator Tweeter Measurements! Later this spring, I will build a pair of nice looking matching front covers for them! Read full article |Comments Off on Satori Two – Monitor Construction Released!